Suffolk showjumping Academy win Gold! On Tuesday 16th February members of Suffolk showjumping Academy travelled to Bury Farm Equestrian Village to represent their county in the national Academy showjumping Teams competition. They had to compete over two days and showjumping with points adding to a final result. 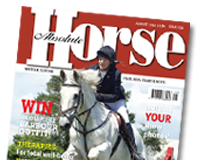 In the junior section Imogen Milner-Moore rode her 138cm pony Spikeman, Sophie Knight ride her 148cm pony mini marianne, Lucy Spittle rode her 128cm pony Barham maestro and Patrick Thurstonrode his 138cm pony Tynan earl grey. On the Wednesday they completed on a zero score to take them forward with a good chance in day two- the second day they all completed their round again in a zero score which put them in a fabulous position as the course was tough and the time allowed was shortened to championship time meaning a lot of fellow competitors were gaining time faults. The excitement increased as the round neared its end and there were no other teams on a zero score from both days. Ann Withey from Copdock Riding Centre was supporting and helping the teams and keeping score and knew they were now in a very good position – The final team was Essex and after a couple of minor mistakes Suffolk realised they had won gold – a fantastic day for the team and Lucy Spittle then jumped off to take individual gold too! The excitement was not over as Saffron Baker and her horse loulabelle II had also jumped on a zero score on day one in the young riders competition. She continued this on day two to then join a fast jump Off and complete the round in the fastest time to win individual gold for Suffolk too! Ann was thrilled with the day’s results and its great result for Suffolk showjumping! Mia Palles-Clarke who is area representative was thrilled with the news of the result. Pendleton will ride Pacha Du Polder over 3 miles at Fakenham on Friday 19th February. Nicholls told betting.betfair.com, “Should Victoria reach Cheltenham, her and Pacha Du Polder are more than capable of finishing in the first six. Victoria’s improvement since challenge began is phenomenal,” says Nicholls. The three mile Hunter Chase at Fakenham is seen as yet another step towards Pendleton’s ambitious goal of riding in the St James’ place Foxhunters Chase at Cheltenham. The NAF Shining Star for January 2016 has been awarded to 14-year-old Gaby Sumner from Ipswich, Suffolk. Gaby is a committed and supportive member of the Suffolk Academy and she was nominated for the award by Academy Lead Coach Mia Palles-Clark. Having ridden since a young age, Gaby progressed through the Pony Club and joined British Showjumping back in September 2013. During her time as a member, Gaby’s showjumping has developed and she has qualified for a number of Championships and second rounds, including this summer’s Pony Newcomers Second Rounds. On board her main ride, Cruising for Candy, Gaby is also aiming for the Pony Foxhunter Second Rounds and the English Home Pony team. Little cob Violet is just a few months old and was rescued from Tilbury in Essex on Wednesday 27th January by Redwings Horse Sanctuary, together with House and Jackson veterinary centre and the RSPCA. The weanling was found with her mother and a young sibling, and she was suffering from a nasty, untreated wound on her left hind leg. Redwings’ Senior Field Officer Jo Franklin received a request for help from the attending RSPCA inspector and House and Jackson veterinary surgeon Ana Pereira to round up all three horses as they were suspected of being fly-grazed (grazed on land without the landowner’s permission). “It was evident that the foal’s injury needed urgent veterinary attention, so ensuring her safety and causing as little distress as possible to all three while they were being rounded up was paramount,” reflected Jo. “Ana managed to catch the mare, and then her foals happily followed into the trailer, ready to be examined”. An owner was identified for the three horses but agreed to relinquish ownership of Violet as her injury was such that it required ongoing veterinary treatment, which they sadly could not afford to provide. At approximately six months old Violet was old enough to be weaned from her mother, and so was taken to House and Jackson’s equine clinic for immediate veterinary care. “We’re very pleased that the prognosis for Violet’s recovery is good and we’re hopeful she’ll make a full recovery with no permanent damage caused to her leg,” commented Redwings Chief Executive Lynn Cutress. “Violet has received wonderful care from the team at House and Jackson and we are delighted to have today (Thursday 04 February) welcomed her permanently into the Redwings family at our Ada Cole Visitor Centre near Harlow in Essex”. Violet’s initial veterinary treatment and rescue has already equated to more than £1,000 – including emergency treatment, X-rays, antibiotics and nursing – and she will continue to receive ongoing care from Redwings’ in-house veterinary team. However, as Lynn explains, “The rescue of this beautiful foal, her recovery and her bright future, reminds us all at Redwings exactly why we exist as a charity. But, of course, we can only exist and be there to help horses in need like Violet thanks to our fantastic supporters. “We’ve all fallen in love with Violet and we’re looking forward to seeing her enjoy a happy life with fellow youngsters at the Sanctuary – and with the hope she may be able to have a second chance at a happy family home outside Redwings through our rehoming programme”. If you’ve been struck by Cupid’s arrow and touched by Violet’s story, you can donate towards her ongoing care. Just £6 could fund a vet nurse to change the dressings on her injured leg. Simply text “HORS30 £6” to 70070 or visit Redwings’ website www.redwings.org.uk/donate to help Violet today. Win the ultimate trip to the FEI World Cup Finals! The FEI World Cup Finals offers the chance to see the best in top-class equestrian performances from both dressage and showjumping, with riders from around the world competing for a coveted place. It is the event to attend and Ariat are offering one lucky winner and a friend the chance to experience all the excitement of the show. Held in Gothenburg, Sweden, the winner of Ariat’s competition will gain themselves a pair of tickets to both the Longines FEI World Cup Showjumping Finals and the Reem Acra FEI World Cup Dressage Finals, taking place on Sunday 27th and Monday 28th March respectively. Alongside this, flights and accommodation for two nights (Saturday and Sunday) are also included in this amazing prize package. As the official footwear and apparel supplier of the FEI and a sponsor of the Longines World Cup Showjumping Finals, Ariat are thrilled to be offering this opportunity for one lucky person and a friend to experience equestrian competition at its very best. The competition runs from 1st February to 22nd February 2016 and is only open to entrants from Europe. Full T&C’s are available on the website.